Thanks to Terry Owens for supplying the information. The band played at all the usual local social clubs, pubs and dances, was the first group to play at the Maison de Danse in Stockton and supported Dave Allan at the Empire Continental and made their first television appearance on TTV. In 1962 successfully auditioned for BBC television show, some Liverpool lads calling themselves the Beatles didn’t make it that day but seemed to do quite well later. In 1963 supported the Beatles at the Astoria Ballroom Middlesbrough and also appeared twice at the Cavern Club in Liverpool. In January 1965 Eric Shoosmith left signifying a change in lineup. 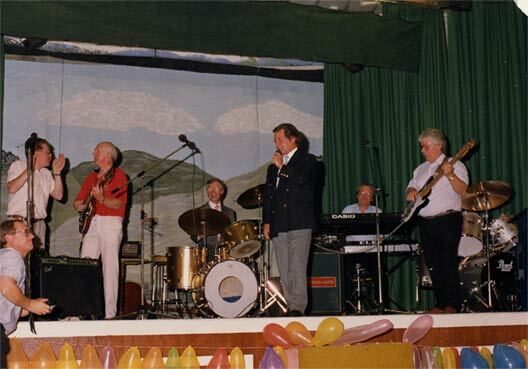 Terry Owens joined to play keyboard and Henry Fawcett began alternating between lead and rhythm guitar. Later that year Gary Phillips left to be replaced by Pauline Reilly (stage name Jackie Peters) and Johnny Taylor left to be replaced by Vic Creed on Drums. In 1966 Trevor Davis replaced Gordon Valentine on Bass while Gordon continued on Vocals alongside Jackie Peters. By this time the band was working the cabaret circuit in the North East including the Fiesta at Norton, the various Bailey clubs across the region and the Sporting Club at South Bank. 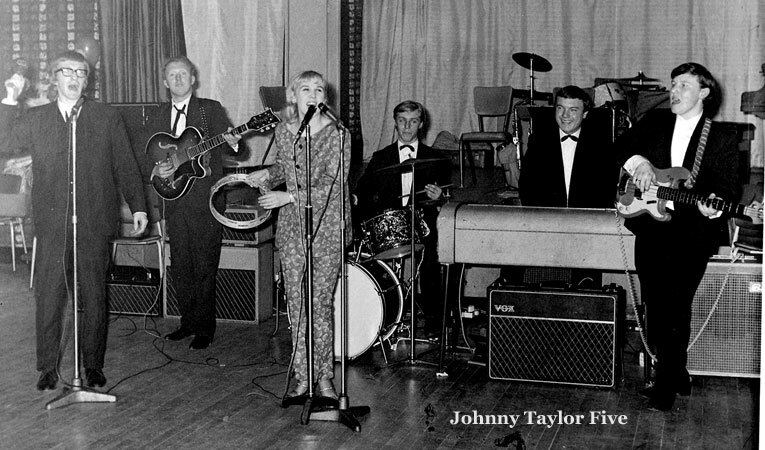 The JT 5 continued with this line up until it’s final gig at Cockerton Band Club Darlington in November 1967. This picture was taken at the Social and Recreation Club at British Steel, South Bank, Middlesbrough. flying his light aircraft and flew into a storm on the way home crashing into the channel killing him and 3 passengers. They have never been found. Terry Owens on keyboards was always full of mischief always has a great story to tell. Survivors now retired and living in France and loving it .He has met up with Gordon a few times just to drink wine and enjoy the French life style and to remember the good times. Trevor has kindly sent us this pic taken at a recent get together on the occasion of Brian (Johnny) Taylor's 25th Wedding Anniversary.